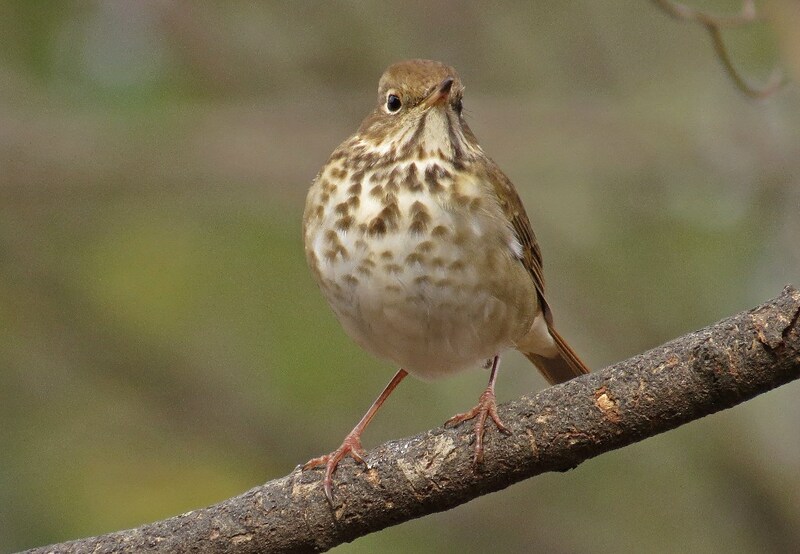 A Hermit Thrush popped in for a quick visit this afternoon. 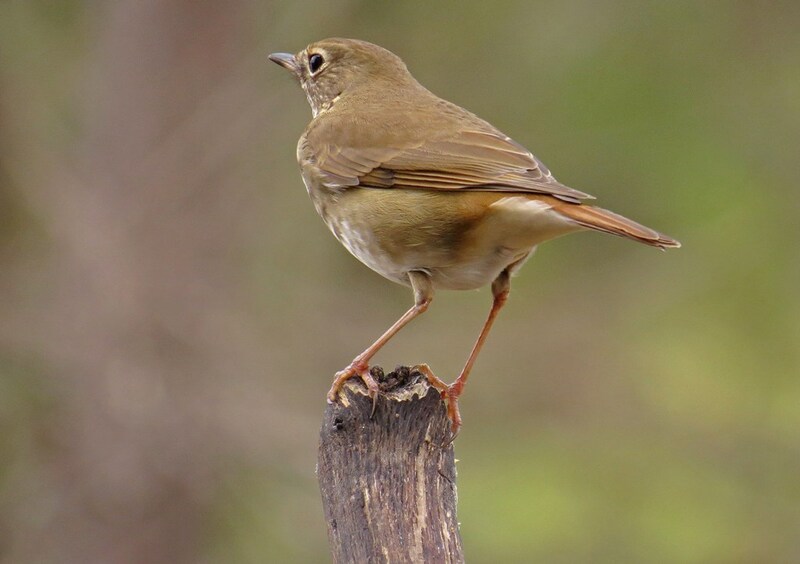 These birds are just a tad smaller than Cardinals, and spend their winters here in the south. It is not often that I see one feasting at my feeders, but the weather here has been below freezing and I think he (or she, I can’t really tell) decided to take advantage of a ready made lunch. 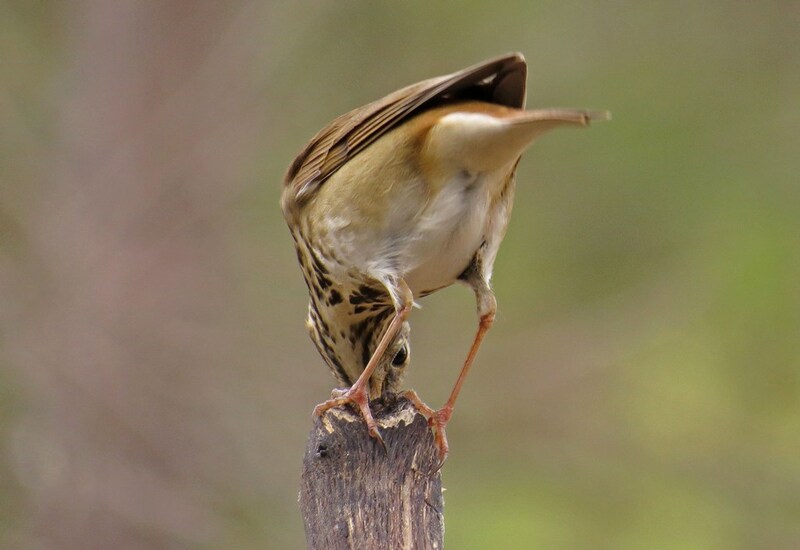 He squawked to scare off a Warbler and then perched to partake of some Bark Butter that was spread on the backside of the branch. 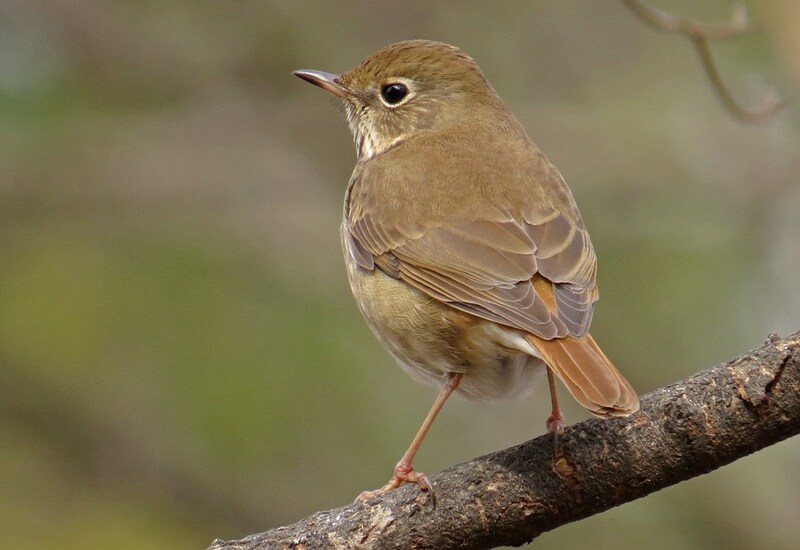 This bird is not bold or stunning, but I still think he is beautiful. I am glad he showed up when I had my camera handy. 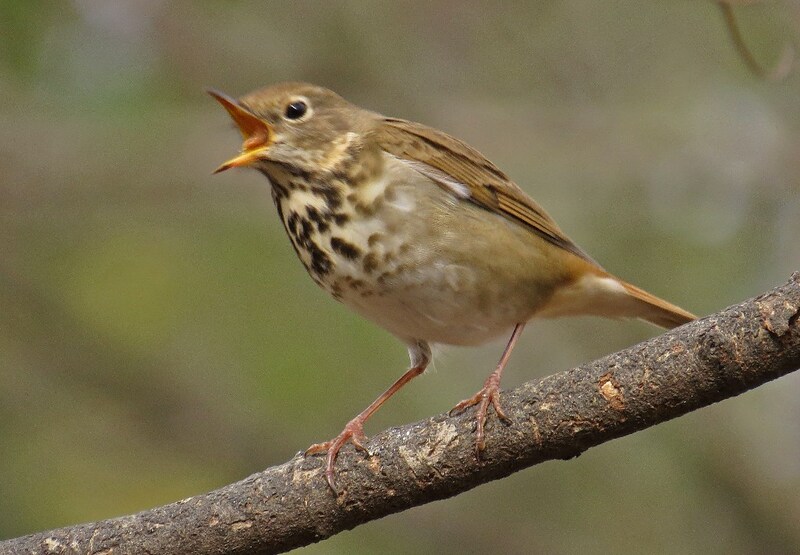 This entry was posted in Backyard Birds and tagged beauty, bird watching, birds, inspiration, nature, photography, thrush, wildlife, writing. Bookmark the permalink. A beautiful specimen well shot! Love the colour coordination, and markings, beautiful! I don’t see these birds often, so I was thrilled when he stopped by. Wonderful shots, (s)he shows some attitude! The attitude surprised me. This bird is usually pretty skittish. Was happy (s)he stuck around long enough to get a few photos. 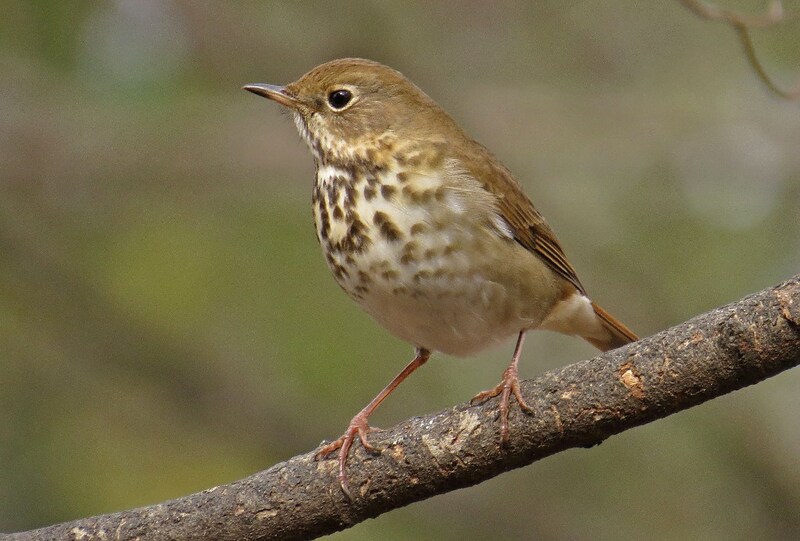 The song of the hermit thrush is my FAVORITE summer “up north” sound! I could listen to their flute-like melody all day long. It always brings a bit of an ache to my heart, when they begin to serenade in the summer evenings. I know what you mean. 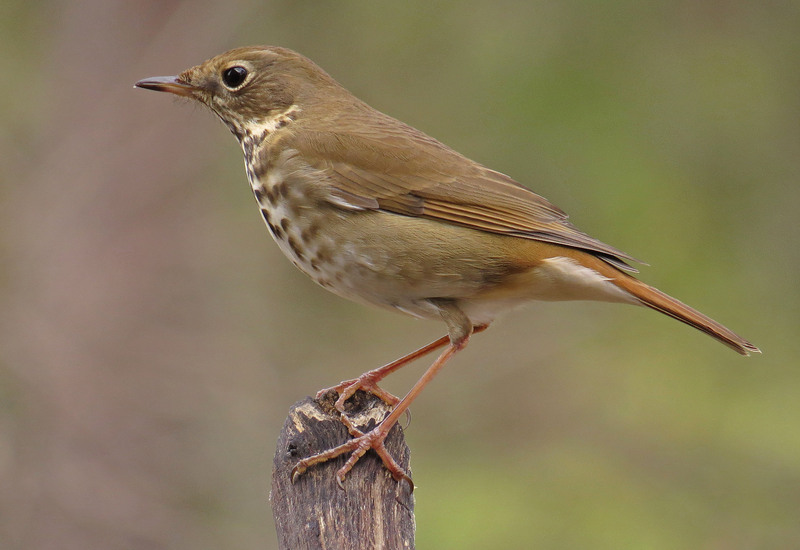 There are certain sounds (like the hermit thrush song) that stir a melancholy that is a pleasing kind of pain.